Kenmare News | Sean and Yago selected for Under 14 team! Sean and Yago selected for Under 14 team! 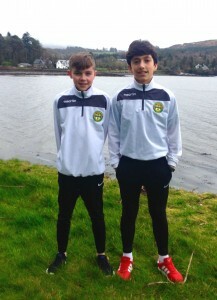 Sean Treyvaud and Yago Cornide from Inter Kenmare have been selected for this year’s under 14 Kerry’s Soccer Team who will be competing in the Kennedy Cup tournament in UL in June. The Kennedy Cup is the biggest junior soccer tournament in Europe.